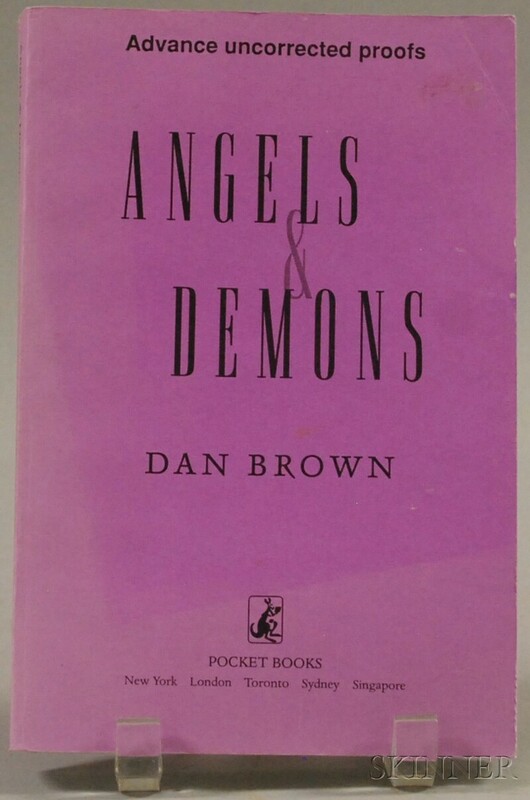 Brown, Dan (1964- ) Angels and Demons. New York: Pocket Books, 2000. Advanced uncorrected proof copy, with purple paper wraps, good, minor sunning to front cover.